On the Cover: “The Sharing Cycle of Science Learning” (gouache on paper, 2014) by Laurie Houseman Whitehawk. Mark Griep, Beverly R. DeVore-Wedding, Janyce Woodward and Hank Miller. 2016. The Sharing Cycle of Science Learning: Connecting Community Topics to Tribal College Lab Courses. 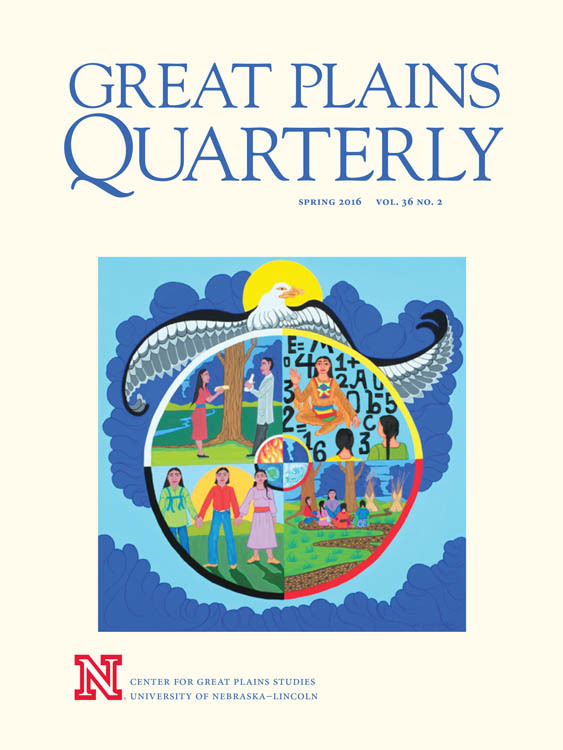 Great Plains Quarterly 36(2), pp. 131-146. Mark Griep is associate professor in the Department of Chemistry. Beverly R. DeVore-Wedding is a doctoral candidate in the Department of Teaching, Learning and Teacher Education.